Jo Ann Stiles has devoted more than thirty-six years of her professional career at Lamar University to instructing students and others about Texas history and the virtues of oral history. A master teacher, as attested by her numerous awards (including being named a Piper Professor in 1981), Jo Ann has combined the traditional methods of lecture with “hands on doing of history” for her American history survey students and those students in her advanced level classes at Lamar. She requires oral history projects as part of the course assignments for her students. Over three hundred of these interviews are now housed in the special collections department of the Mary and John Gray Library at Lamar University—a valuable resource now available to researchers and family historians in Beaumont. The kind of person to lead by example, Jo Ann has conducted numerous interviews for her own research on the East Texas oil industry. Among the notable products of her research and oral history interviews are the award-winning forty-minute video, “The Extraordinary Ordinary People of Spindletop: The Supporting Cast,” and the book she coauthored titled Giant Under the Hill, published by the Texas State Historical Association in 2002 and now in its second printing. In addition, she has conducted oral history interviews for a grant-funded project that focused on the sixtieth anniversary of Lamar University. 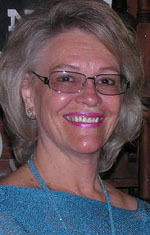 Furthermore, Jo Ann has zealously promoted the value of oral history as a teaching technique throughout the state in numerous symposia, workshops, and lectures for museums and preservation groups, public schools, local historical societies, and Elderhostel groups, as well as for meetings of the Texas State Historical Association and the East Texas Historical Association. Not surprisingly, Jo Ann has taken an active role in the Texas Oral History Association, serving as vice president from 2000-2001 and president 2001-2002 and board member from 1999–2005. Among other things, she coordinated the TOHA program at the TSHA meeting in 2002 and served as a judge for TOHA’s annual Texas History Day award for outstanding use of oral history by secondary school students. Currently a member of the board of directors of the Texas State Historical Association, she is also active in other historical associations, including among others the East Texas Historical Association, Texas Gulf Historical Society, and Beaumont Heritage Society. For Jo Ann’s vigorous promotion of oral history both in and outside the classroom and for her tireless efforts at collecting and preserving the oral memoirs of Texans, TOHA is proud to name her the fifth recipient of the Thomas L. Charlton Lifetime Achievement Award.